Installing ceramic wall tiles isn’t an easy job. Doing this the right way involves taking a few things in consideration and following a few instructions. 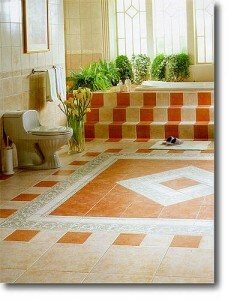 Although ceramic tiles can be found in many sizes, people prefer using the 12 inch ones. It’s better to buy a tile that is impervious because this way you won’t have problems with water seepage. 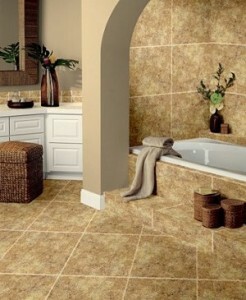 When you install ceramic tile, you can use drywall, water resistant drywall, plaster and cement backer board. The latter one is almost the same as a regular drywall. You can use a utility knife to cut it and then just bend and snap it. Because water may get to your wall, galvanized screws will be needed. In the end, you will need to apply some fiberglass tape and a light coat of thin set. 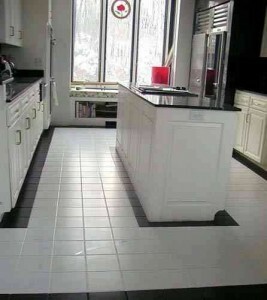 You should start by marking the place where the tile will be and then make some vertical and horizontal level lines. For the horizontal lines, the tile needs to be measured carefully or else you will find out that it’s sitting right on top sides of the tub. 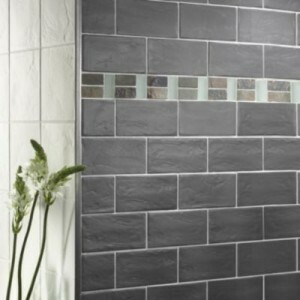 To keep a clear space between the tile and the tub, you can use a tile spacer. It’s better to start your work from the center point and go left and right along the bottom line. 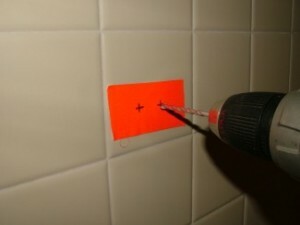 First you have to apply some adhesive over a two tiles area. 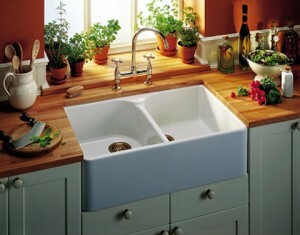 After you spread it well with the trowel, the tiles can be installed. 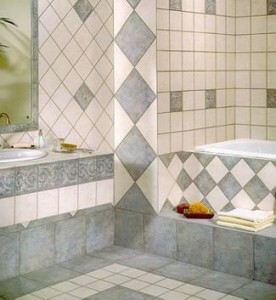 After every piece of tile you will need spacers or else the grout lines will not correspond to your previous plans. 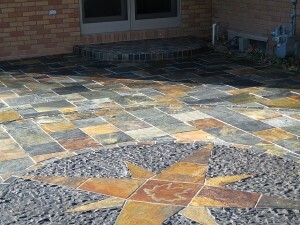 The corners are a little bit difficult because you need to measure the necessary tile and cut it with the wet tile saw. You don’t have to throw the remaining piece of tile because you will use it in the opposite corner. When you find a hole that needs to be cut, make the measurements first and then use the wet tile saw for making small cuts. 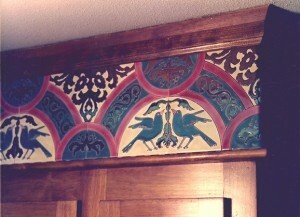 These will be snapped with some small pieces of tile nibblers and then left to dry. If it happens for the tile to finish on mid wall, you need to use tile finishing strip. These strips will be installed with adhesive and after it’s all dried up, you can put the necessary tile over them. If you want to continue your work in another day, don’t let the adhesive on the wall because it will be very difficult to remove it once it is dry. After 24 hours since the last piece of tile has been installed, you can start grouting. 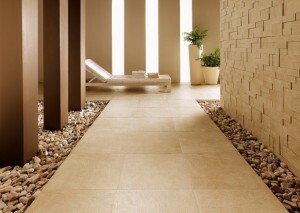 You will need to use sanded or un-sanded grout, depending only by the distance between the tiles. All the spacers need to be taken out and the excess adhesive removed. 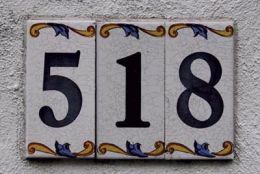 The grout needs to be mixed following the manufacturer’s instructions. Water is required until the consistency of the grout is similar to peanut butter. 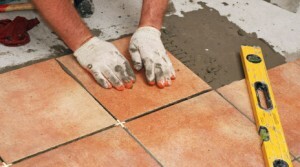 Note: If you are going to use the grout for a bathroom or kitchen, you need to also include a waterproofing agent. When you apply the grout, you will need a rubber grout float. All the spaces between the tiles need to be filled until it gets down to the bottom of the seams. 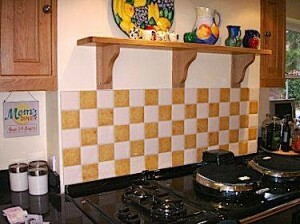 Any excess grout needs to wiped off very quickly with a wet sponge and cleaned with water. 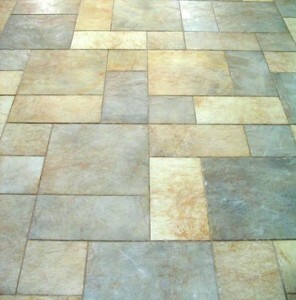 If you are working on a wall, it’s better to put something on the floor in case some grout will fall. After 30 minutes, repeat the wiping part until all the grout from the surface of the tile has been cleared up. The grout has to stay this way for at least 24 hours. For kitchens and bathrooms, you have to finish your job with some mildew resistant silicone caulking to seal the edges of the ceramic tile.